Popularly known as the Devbhumi ­– “Land of the Gods”, Himachal Pradesh is famous for its sheer topographic diversity and breathtaking pristine natural beauty from vast tracts of high-altitude Trans-Himalayan desert to dense green deodar forests, from apple orchards to cultivated terraces, from snow capped high Himalayan mountain ranges to snow fed lakes and gushing rivers, Himachal Pradesh has all of this. We at Sunrise Travels Shimla help you in choosing your destinations in Himachal Pradesh India and making right choice for your travel vacations like ‘Which place to see’ “how to plan about it ‘ if anything missed out’ and ‘How To Proceed’. Just tell us about your travel requirements by filling up the form mentioned below and get the most trusted and aptly customized tailor made tours for you. 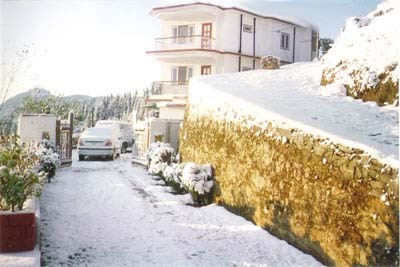 Being located in Shimla, the queen of the hills we have wide personal travel experience in Himachal Pradesh and suggest only those hotels and resorts which are personally visited by usHimachal Pradesh has many tourist destinations like Dalhousie, Dharamshala, Kangra, Kasauli and Chambla, along with the famous hill stations of Shimla, Kullu and Manali. We provide complete travel solutions from eternity suggestions, airline / train bookings, taxi arrangements and all type of hotel / resort bookings.